Commission by Michael Gray, then General Manager of the Hyatt Carlton Tower, General Manager of the Hyatt Regency London, The Churchill and Area Director for Hyatt International for the UK. Commission of 8 wall-mounted steel-mesh panels for their bar area. 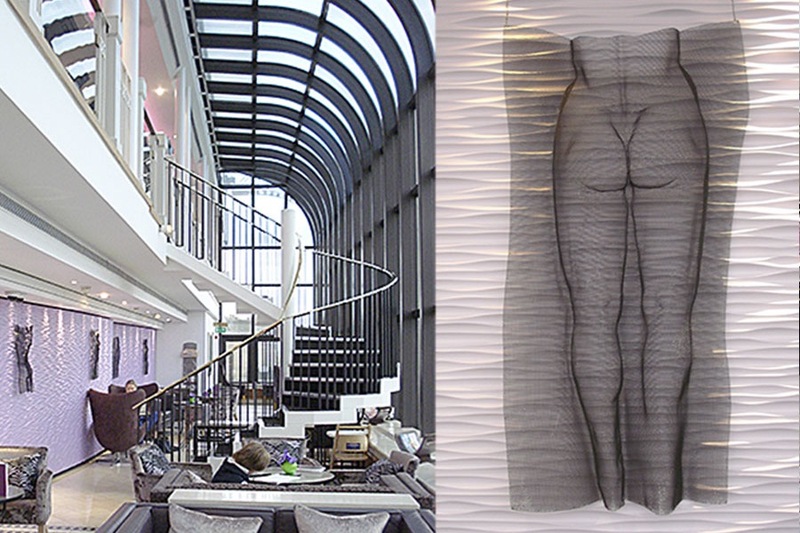 Commission of 7 wall-mounted steel-mesh sculptures for their swimming pool area.